Absolutely beautiful turn key upper level Condo in very desirable gated community of Casa Del Sol Luxury Condominiums. 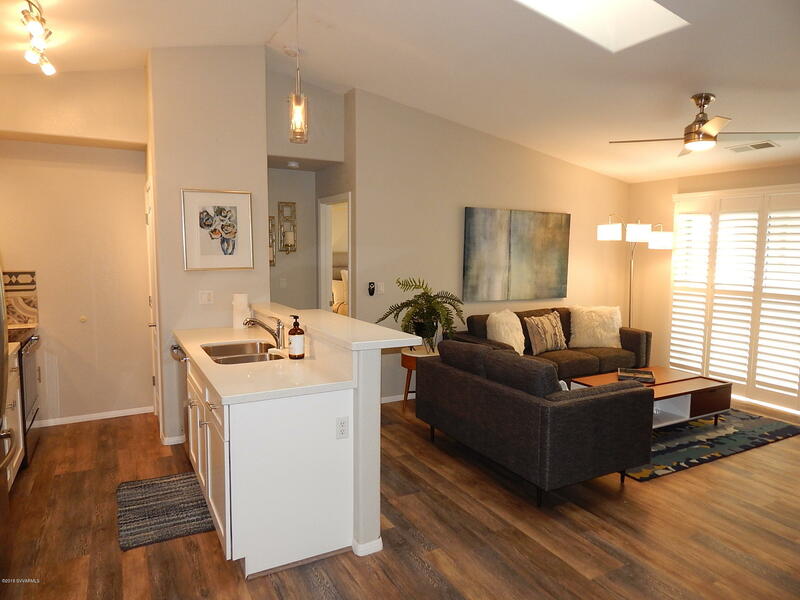 This Condo has been completely remodeled from floor to ceiling. Here is a list of everything new: stainless steel appliances, soft close cabinets in the kitchen and bath rooms with white cultured stone counter tops, all new fixtures, sinks and flooring, interior completely repainted, all windows have new shutters and more. Community benefits are a pool and fitness room and outside maintenance. This home is stunning and looks better in person. The furniture is also available on a separate bill of sale if desired, so all you need is your clothes! This is perfect for primary or second home!